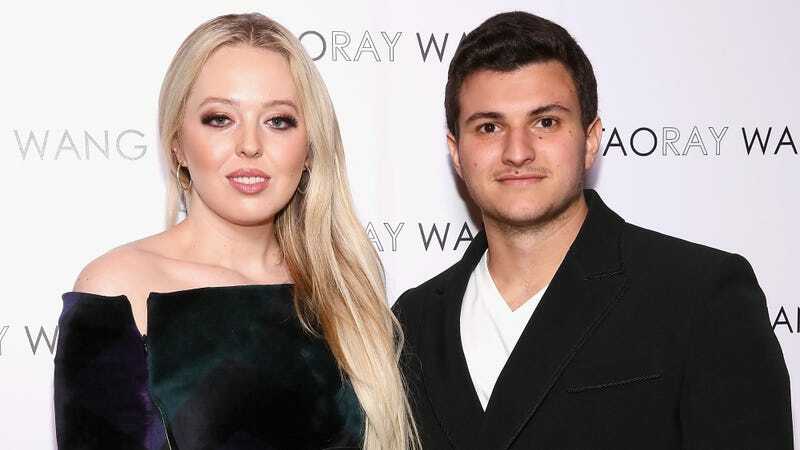 Tiffany Trump, youngest Trump daughter and often forgotten Trump child, seems to be doing pretty well for herself these days. She’s studying at Georgetown Law, she dating the son of a billionaire businessman who looks like three children in a trench coat, and the relationship reportedly has her mother’s blessing. “I adore Michael!” Tiffany’s mother Marla Maples tells T&C exclusively. An anonymous source also told Town and Country that the couple are “really enjoying their time together.” Insightful! This has been Checking in With Tiffany Trump.